Say welcome to brand new phpFox theme called Gaming theme! Autumn gives us more inspiration to build new apps for phpFox. Meet phpFox Posts View Counter! 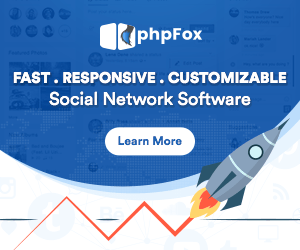 Good news for everyone who uses phpFox or considers to start new social network. Today phpFox released phpFox 4.5.3 which makes phpFox core better. We're releasing another great app for phpFox today and it's called User Generator.